Reading several articles in the Wall Street Journal Health and Wellness section recently sent a chill through me as my husband of 57 years, Phil, is recovering from cervical surgery and recently survived some of the life threating health care facility acquired diseases mentioned in the article; all in the course of four weeks. He acquired pneumonia in the ICU, the flu in a rehabilitation center and a staff infection in a skilled nursing facility. In the February 17, 2018 article Hospitals Pneumonia Is a Lethal Enemy there were two quotes I found highly disturbing. One from Marin Kollef, Director of Respiratory care Services at Barnes-Jewish Hospital in St. Louis. “Patients with hospital acquired pneumonia have a “8.4 times greater odds of death”. Although his cellulitis was acquired from an IV stick, possibly in the skilled nursing facility, I am sure the same issue would apply. I ask myself after reading the articles; “what are my rights and responsibilities”. 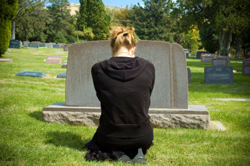 I also harkened back to the fact that my mother had died by what I suspect was medical error. Do I as a consumer speak up and if so how can I be more effective? Phil had major surgery that lasted over 10 hours. Yes, I said 10 hours. He was on a respirator for 4 days as there was concern that his throat would swell and they would have to intubate him again. Just as a side note, while he was in the ICU, a woman died in the bed next to Phil’s. There was a curtain between us barely covering the view of the 25 or so medical staff gathered around her bed. I heard one of the nurses say that it was a DNR, as in Do Not Resuscitate. This was scary for me to witness and not very reassuring given that my husband was on a respirator. The doctor had also just informed him that he had pneumonia and although he couldn’t talk, a little tear appeared at the corner of his eye. 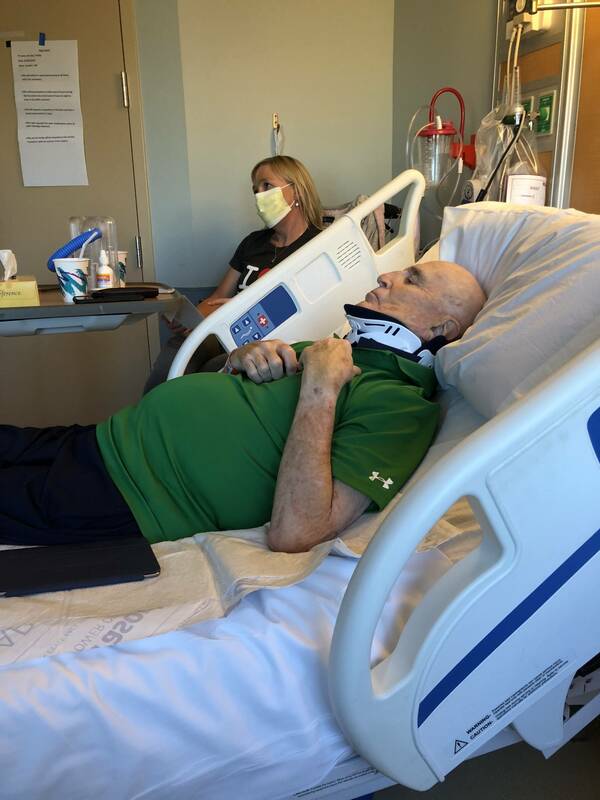 After seven days in the hospital, recovering from the pneumonia, Phil was sent to a rehab unit where he was making some progress when he was diagnosed with the flu. After 5 days on flu precautions, with all of the staff and visitors wearing masks, he was declared flu free and we moved to a skilled nursing facility. After several days we decided that he could return home. He was home for two days when he woke up with a swollen, painful left hand. Our doctor had us take him to emergency ward where he was put on antibiotics and hospitalized. The diagnosis was cellulitis given to him by an IV needle. Fortunately it had not entered his blood stream so he was discharged after three days. Let’s look at the problem. In the BMJ, 2016 article, Medical Error: The Third Leading Cause of Death in The US professor Martin A. Makary and Michael Daniel state that medical errors are the third leading cause of death in the United States. Approximately 98,000-144,000 deaths occur every year. Kohn L, Corrigan J, Donaldson M., eds. in their book To Error is Human: Building a Safer Health System, it is noted that deaths caused by medical error are equivalent to that of a jumbo jet crash every single day. The question then becomes what would do we do if every day there was a fatal plane crash? Would we seek alternatives to travel? Would we collectively request or even demand safer travel? What would be our responsibility to the airline industry to help them improve their safety? And, would we be comfortable sitting quietly if we saw mistakes or opportunities for improvement? I asked myself then what would I have done if Phil had died of the flu, pneumonia, or cellulitis? I was reminded of years ago when my mother was in the hospital being prepared for opened heart surgery and died of heart failure during the night. I spoke to mom that evening and she expressed concern that the medication she was taking had lowered her blood pressure too much. Even though I am a nurse I was living two thousand miles away from mom and trusted that the hospital knew what they were doing. My sister handled the funeral arrangements and we never discussed that her death could have been due to a preventable medication error. Did we miss an opportunity to make things better? What are our responsibilities as consumers of healthcare? After pondering the Journal articles I felt concerned and curious about my rights and obligation regarding medical error and as luck would have it my daughter Heidi and I were recording our Open to Hope television show with guest Tanya Lord Ph.D. MPH. Tanya is not only a friend but also a leading expert on patient safety, quality and the patient experience. Tanya was a special education teacher who became a stay at home mom when her son, Noah, at age 4 died from a series of medical errors following a tonsillectomy. This devastating experience fired her desire to improve the patient safety. She went back to school and acquired a Masters of Public Health from the University of New Hampshire and a Doctorate in Clinical and Population Health Research from the University of Massachusetts Medical School. She currently works across the country with many different healthcare systems. Death by Hospital Error: What Now? Change can only happen when errors are brought to light. Most errors do not have devastating outcomes, however, they are still useful in identifying areas of improvement. Errors of loss of dignity or respect can be profound such as in the case when Phil was in the ICU ventilated and witnessing the death of a patient beside him. When we are faced with situations that have not been acknowledged by the care team it can feel uncomfortable to bring it forward. It may feel that the only, or correct, answer is to contact a lawyer. That is a very personal choice and not one that I can really suggest. However, there is a lot that can be done to work towards authentic improvement. In my opinion, we do have an obligation to identify and bring forward errors as well as our perspectives and opinions. Not as an adversary or outsider to healthcare, but as a partner and an expert in our role as patient or family member. Ask for a meeting with the physician. Ask to be included if there is an internal review of the case. Remind the staff and clinicians involved that you bring an important perspective. Contact the person at the facility who is responsible for complaints. This is typically called an ombudsman, patient liaison or the patient advocate. It may be helpful to write out your observations and concerns and then ask for a meeting to review the situation. If this meeting does not happen or is unsatisfactory, you can contact the patient safety or quality improvement director. Depending on the size of the organization, you may contact the CEO or the CMO (Chief Medical Officer). Offer to participate in the following ways: Become a Patient and Family Advisor by joining an existing Patient and Family Advisory Council or consider helping them form one. Offer to help form a Consumer Reporting System. Suggest a CANDOR (Communication and Optimal Resolution) system to the hospital and offer to help implement it. So, don’t be afraid to take action if you or a family has been a victim of medial error. Healthcare will improve only when patients, families and communities are seen as full partners with their own expertise. We all have an obligation to make care better. Dr. Gloria Horsley RN CNS MFT is a former faculty member of the University of Rochester School of Nursing and is founder and president of the Open to Hope foundation giving over one-million people yearly hope after loss. www.opentohope.com. Tanya Lord PhD MPH Dr. Tanya holds a Masters of Public Health from the University of New Hampshire and a Doctorate in Clinical and Population Health Research from the University of Massachusetts Medical School. She is the Director of patient and family engagement at the Foundation for Healthy Communities in New Hampshire.